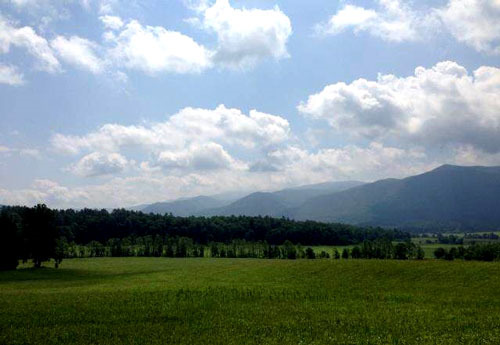 PCA Products is based in Sevierville, Tennessee and we are happy to call the Great Smoky Mountains home. It's easy to see why this is the most visited national park in the country. With a diverse wildlife population and a matchless variety of plant life, it’s no wonder so many people travel here for hiking, camping, site-seeing, or even a picnic. There are stunning views across over 800 square miles in the mountains found in Tennessee and North Carolina. Park trails are a main appeal of the Smokies which are enjoyed year-round. Each season brings a new unparalleled landscape accompanied by its own adventure. From forests and waterfalls to the high peaks with a view for miles, the hardest part is deciding on a trail. There are a variety of trails available from the casual hiker to expert level with climbing and crossing streams involved. Clingman’s Dome is the highest mountain in the park and has an observation tower at the top to see a panoramic view. Part of the Appalachian Trail runs through the Smokies as well, among the 14 different states it winds through. The waterfalls are an attraction that never loses its allure. Smaller falls can be found around almost every river in the park with some only 20 feet high. One of these is popular Abrams Falls which makes up for its height in large volume of rushing falls. Ramsey Cascades is the tallest waterfall with water dropping over 100 feet. The trail to the falls is a 4 mile course with a wide range of terrain but an impressive reward at the conclusion. For those interested in a nice scenic drive, Cades Cove Loop is an ideal auto tour of the park. There are over 300 miles of road to choose from in the Smokies, all allowing visitors to enjoy the beauty of the park from the comfort of their vehicle. 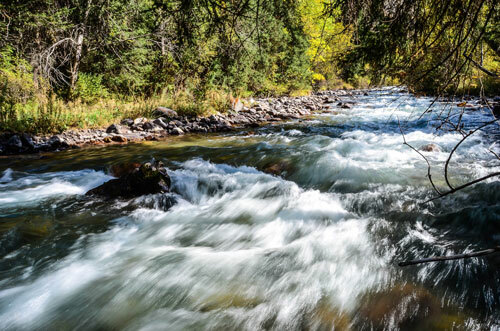 Roaring Fork motor nature trail is another favorite that offers surroundings of wildflowers and historic buildings with fast flowing mountain streams. Along with a number of widely-known hiking trails and waterfalls, there are a variety of historic sites to explore. Over 90 historic structures have been preserved or rehabilitated within the park. The Great Smoky Mountains are among the oldest mountains in the world with some reaching higher than 6,000 feet making them the highest in the Appalachian chain. 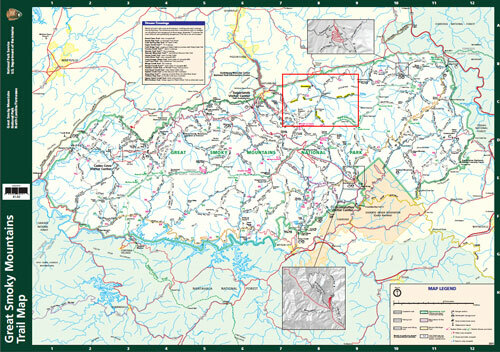 Maps are available for the trails or waterfalls preferred when you plan your trip to the Smokies. PCA Products specializes in custom screen doors that enable our customers to admire nature's beauty in comfort. We even have nature-inspired screen doors for those who share our love for the outdoors. Appreciating these natural landscapes are what motivate us to let the outdoors in.